Freshly baked pastries for breakfast, dessert, or any time in between. Try some of our authentic Italian pastries or other pastries from the region or the rest of the world. Our many pastries are all baked at La Dolce Vita and include a world of flavors like chocolate, hazelnut, almond, fruit, and much more. 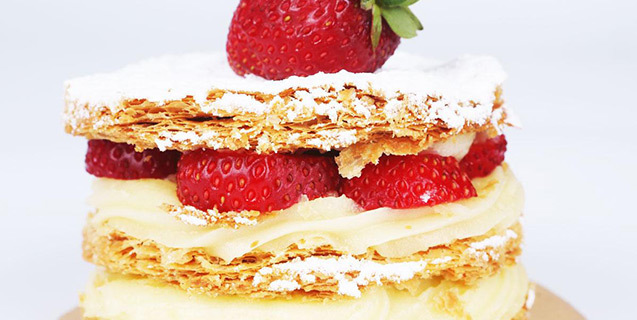 Some of our classics include Sfogliatelle, cannoli, cream puffs, Napoleons , éclairs, and many more. Whatever you choose, you are sure to create a perfect ending to your meal. A few of our freshly made pastries.